The Demon-Haunted World deals with human imagination, science, and scepticism, in a nutshell. In reality it's so much more: It's a defense of scepticism, an advertisement for science, a crash course in wonder, and an explanation of science and what it's all about. My favorite chapters, I think, are The Dragon in My Garage and The Fine Art of Baloney Detection. 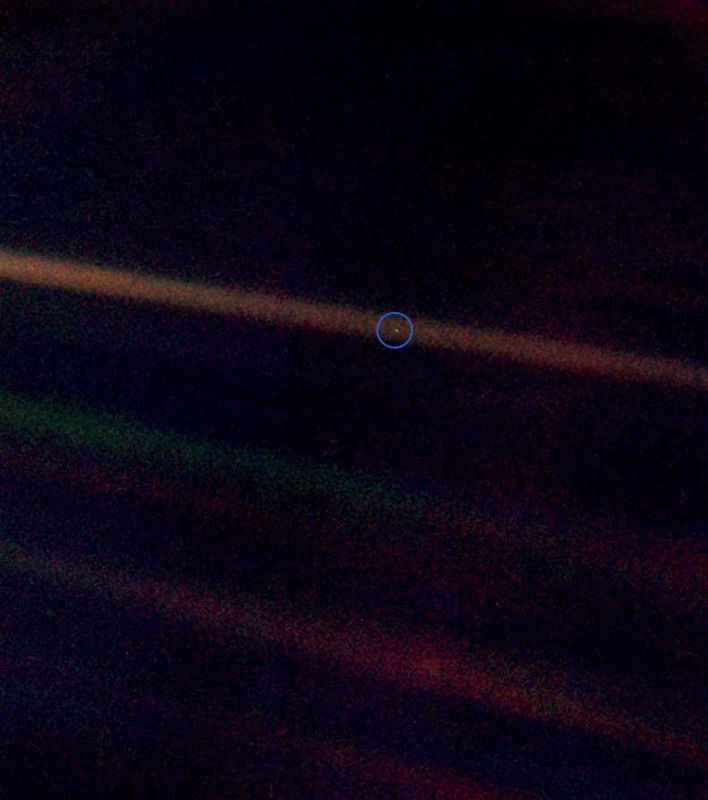 Pale Blue Dot is about the Earth, humans, our place in the Cosmos, and the Solar System and our exploration of it. The title comes from the eponymous image taken by the Voyager 1 spacecraft. It tries to convey a sense of how small and fragile the Earth really is (if you want to get a real sense of it, I recommend Celestia), how the Universe really isn't made for us (sulfuric acid on Venus, for instance, or the black vacuum that covers most of the Universe), and how we've traditionally viewed the Universe. A large chunk of the book goes into explaining the exploration of our solar system and the findings we've made. It also advocates that we use the other planets as warnings for what may happen to our own if we spoil it (after all, so far this is the only place we've got). This is a very engagingly-written account of the history of space flight, as well as a beautifully arranged advocacy of prudence when it comes to dealing with our planet. 17 Nice Guys Finish First! A collection of 101 essays divided into seven sections: The Future, Space, Science, SciQuest, "Foreword by Isaac Asimov", Science Fiction, and Personal. In the introduction Asimov says that the title of the eponymous essay (The Tyrannosaurus Prescription) is whimsical, but I disagree. It is actually a prescription for an ill, and it's not at all whimsical. Read the essay if you want to find out why I think so. 11 What Do We Do Next in Space? 21 What is the Universe?